Jack Ward Thomas was born in Fort Worth, Texas, on September 7, 1934. Thomas received a BS degree in wildlife management from Texas A&M University, then his MS in wildlife ecology from West Virginia University in 1969, and a PhD in forestry (natural resources planning) from the University of Massachusetts in 1972. Jack began his long career as a wildlife researcher with the Texas Game and Fish Commission in the late 1950s, moving in 1966 to join the Forest Service in Morgantown, WV, as a research wildlife biologist, then in 1969 to the Urban Forestry and Wildlife Research Unit at Amhurst, MA. In 1974, he became the chief research wildlife biologist and project leader at the Blue Mountains Research Lab in La Grande, Oregon. In the late 1980s and early 1990s, Jack was a member of several studies concerning northern spotted owls and old-growth habitat in the Pacific Northwest. In the spring of 1993, in the wake of the President Clinton Forest Conference in Portland, Oregon, Thomas was named to head the Forest Ecosystem Management Assessment Team (FEMAT) to present a resolution based on the best scientific evidence to resolve the spotted owl crises in the Pacific Northwest and northern California. It was partially as a result of his work on this project that Thomas was chosen to be the new Chief of the Forest Service. Jack Ward Thomas published more than 400 books, chapters, and articles, primarily on elk, deer, and turkey biology, wildlife disease, wildlife habitat, songbird ecology, northern spotted owl management, and land-use planning. He published several books including The Elk of North America: Ecology and Management, Wildlife Habitats in Managed Forests: The Blue Mountains of Oregon and Washington, and Wildlife Habitats in Managed Rangelands: The Great Basin of Southeastern Oregon. Thomas served on the editorial board of the Journal of Forestry, associate editor for the Western Journal of Forestry, and finally as associate editor for the Landscape and Urban Planning. 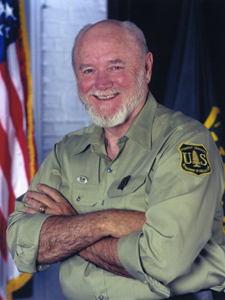 He received a number of awards, including USDA Distinguished Service and Superior Service Awards; Elected Fellow, Society of American Foresters; National Wildlife Federation, Conservation Achievement Award for Science; The Aldo Leopold Medal, The Wildlife Society; General Chuck Yeager Award, National Fish and Wildlife Foundation; and USDA-Forest Service Chief’s Award for Excellence in Technology Transfer. In addition, Thomas served as president of The Wildlife Society for 1976-1977. Amid controversy about how new chiefs should be appointed, Thomas was given the job on December 1, 1993, as a political appointee, the first since Henry Graves in 1910, with the assurance that he would be converted to a career appointment through the Senior Executive Service (through which Chiefs Max Peterson and Dale Robertson were appointed). Thomas moved quickly to address a demoralized agency, with the public in opposition to practically anything that the Forest Service proposed to do. The controversy about President Clinton’s Forest Plan for the spotted owl region was especially troubling. Yet Thomas supported the implementation of a new ecosystem management approach on the national forests and grasslands. 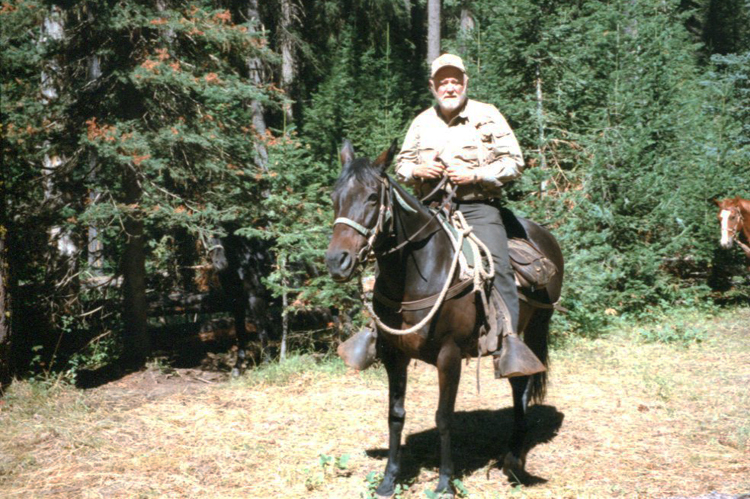 Jack Thomas in the Eagle Cap Wilderness, Oregon, August 1996. “This Time, Our Moment in History, Our Future.” Forest Service Leadership Meeting, Houston, Texas, June 20-23, 1994. “Restructuring the Washington Office.” Remarks to WO Employees, January 5 & 9, 1995. Excerpt from 1995 Jack Ward Thomas speech on topic of public lands (“Thoughts on Ownership of America’s Public Land,” June 26, 1995). Jack Ward Thomas Oral History, interview by Harold K. Steen, May 10-12, 2001.